Everything old is new again, except when it's not. I don't see us going back to like typewriters and pagers so much, but when it comes to craftsmanship folks seem to have rediscovered a value for handmade artistry. One of the foremost crafts that's making a comeback is blacksmithing, though in the form of the farrier. (Farriers are somewhere between a blacksmith, podiatrist, cobbler and pedicure specialists for horses.) Here's a great feature on NPR from a few months ago about the comeback of the art. 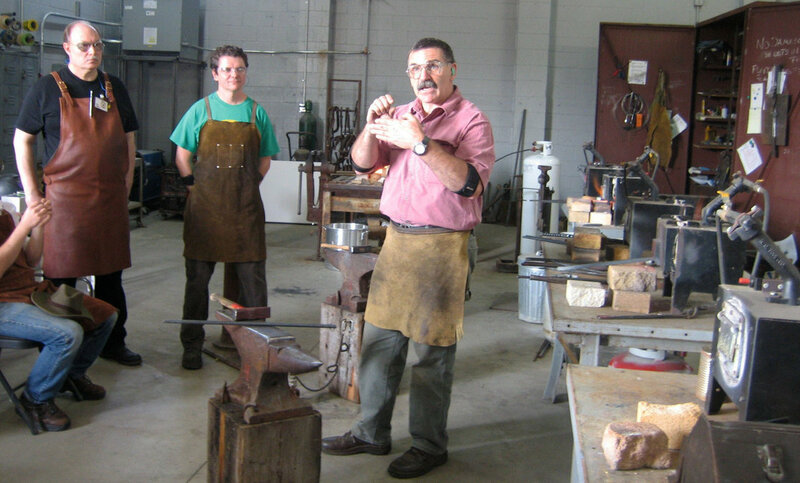 There are only between 5 and 10,000 blacksmiths in America today, rather than a town or village fixture they have become a high end craft specialist. Focusing on custom made furniture, railings, light fixtures, etc. Today's blacksmiths are artisans, and entrepreneurs even though some of them have retained those really burly mustaches. Today's blacksmiths can also make a killing on a well made piece of furniture with prices ranging from $5-10,000 in some cases. There is however a premium on handcrafted, guaranteed, individual work. It's not the kind of thing that comes fast, or easily and so one should expect to pay a price for a well made piece. Similarly with wine, one should expect to pay for attention and care. Whether that's the fruit that's sourced from well tended vineyards, a craft-made, small lot production of wine is about attention and care. From the vineyard management practices to the hands on approach of a winemaker. There are examples of soundly made massive quantities of wine. Many of them however, are made to a certain formula. Real wine is not about formula, but rather expressing itself in the most proper sense, it's terroir. To retain that signature terroir and produce wines at a value aimed price-point will land you right on the Anthem's Friday Find. Marie-Eve Gilla is probably one of the nicest winemakers in Washington. Her signature wines, Forgeron Cellars, (French for blacksmith by the way) are reliable expressions of some of Washington's greatest vineyards. Stonetree, Boushey, and Les Collines. For Forgeron, the Blacksmith line is a real opportunity to offer wines at an under $20 pricepoint that while blended, are going to give you a real sense of Washington in sum. The 2011 Red Blend is just such an example, and it's drinking excellent for $16 and some times far less on sale. The wine is a blend of Merlot, Petit Sirah, Zinfadel, Cabernet Sauvignon, and Cab Franc. Quite the kitchen sink. It's also from some of those aforementioned vineyards, Boushey, Stonetree, Alder Ridge, Hightower Estate on Red Mountain, etc. The result is a great, young, easy drinking food wine. With this summer weather we're having throw it in the fridge for 15 minutes and pair it up with a freshly grilled burger. A mix of bright and ripe fruit and vanilla oak aromas lead you to a palate of raspberry, cherry and hints of cranberry. So lively and young and ready to be drunk right now. 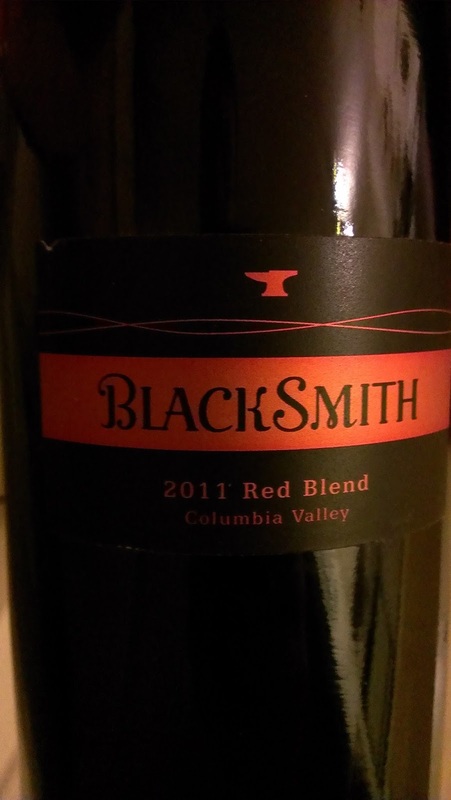 You can find the Blacksmith wines at Bin 41 in West Seattle and Wine World in Seattle. 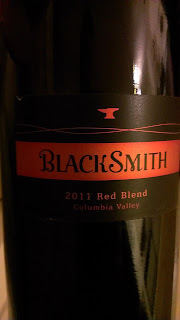 Posted in: best washington wines under $20,Blacksmith wine,columbia valley blends,Forgeron Cellars,Marie-Eve Gilla,what do blacksmiths do?